Once we got to the the Walnut Valley Festival, I was moderately consigned to the fact that the best food we’d have outside camp was the fair food on the midway. 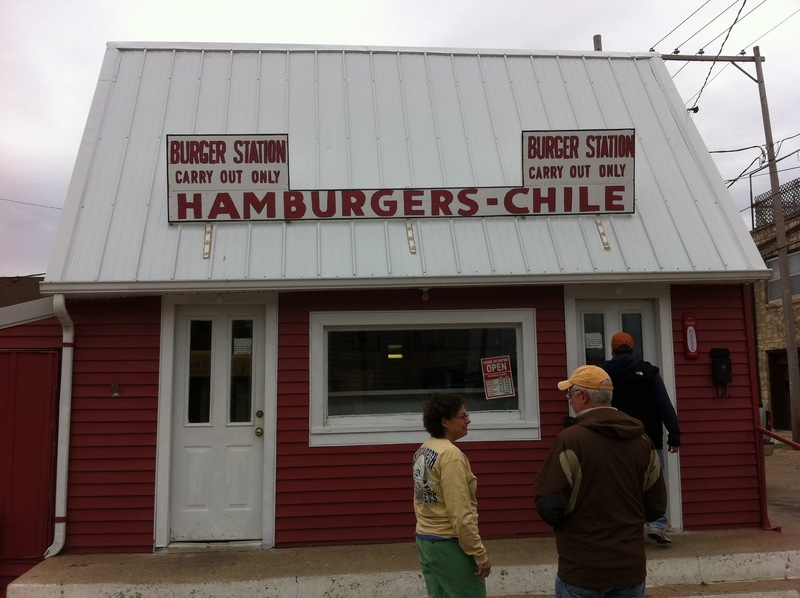 So while chatting with some friends at their campsite (about my preternatural fascination with cheeseburgers, among other things), one of the locals said, “Have you been to the Burger Station?” My ears raised like a cat to the sound of a can opener. 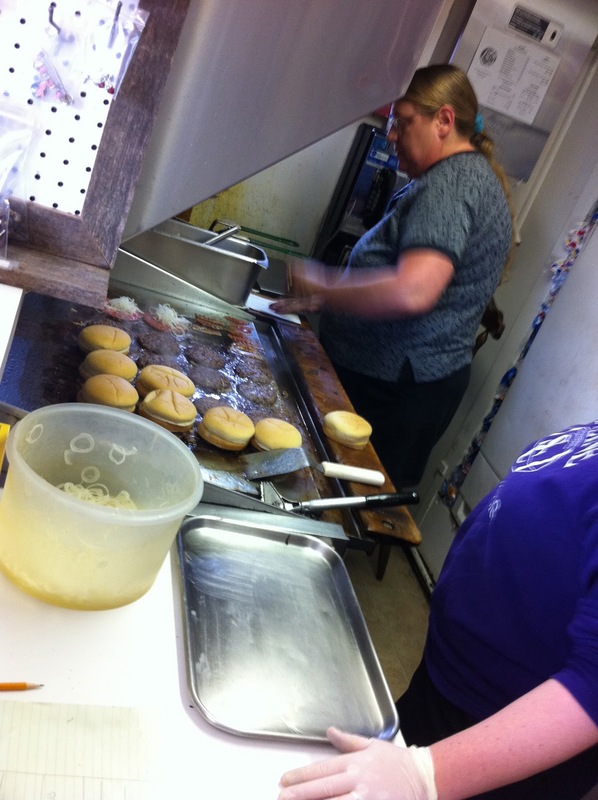 grill, then deep-fryer with an old-time Frigidaire icebox where they stored the patties. 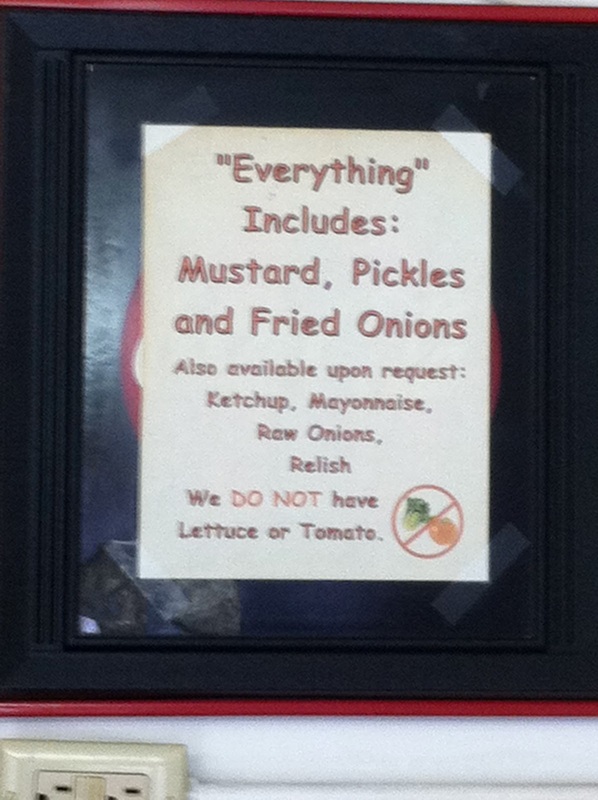 The burger choices were simple, and you are out of luck, if you wanted lettuce or tomato. The burgers were “five-to-ones” and quite tasty. 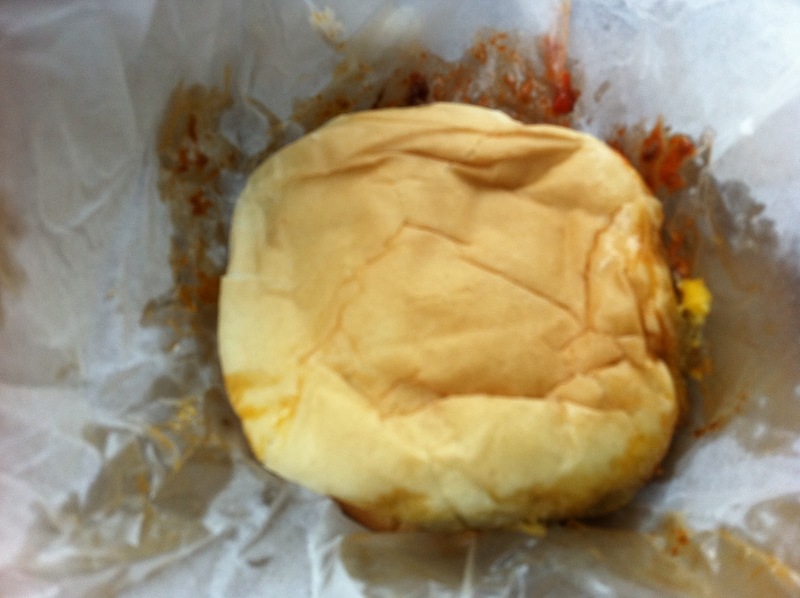 I went for a cheeseburger with chili and they didn’t lie about the grease factor (check out the wax paper). 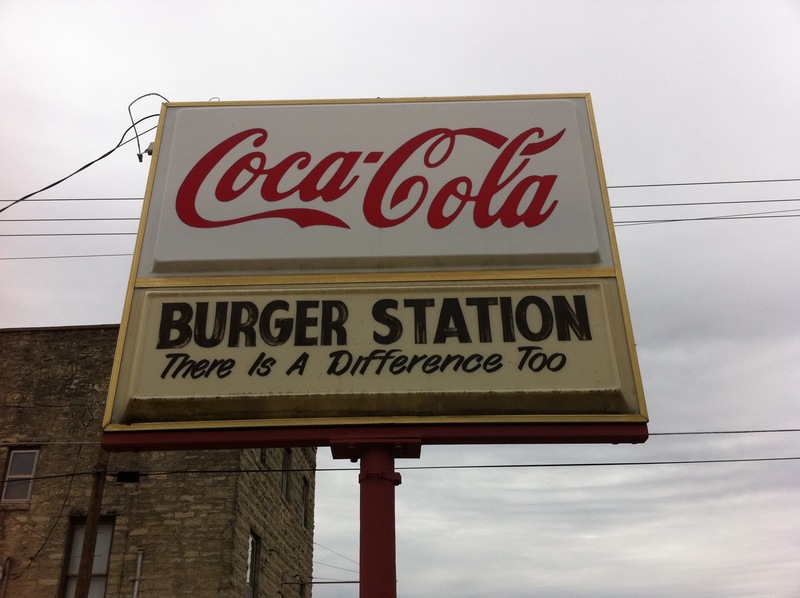 It was a good burger. We’ll definitely go back at some point next “Bluegrass”.